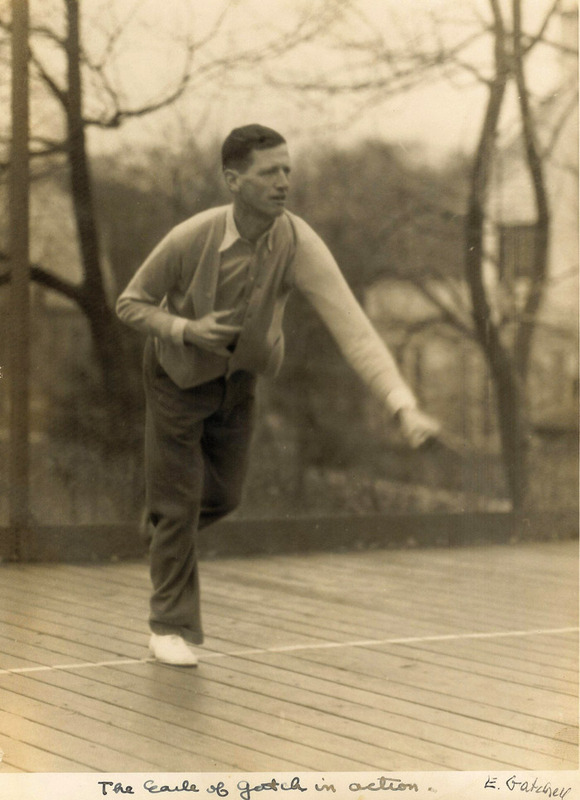 Earle Gatchell on first court. 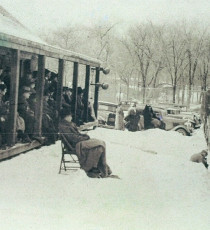 A new notice appeared on the Old Army Athletes bulletin board on March 30, 1930. 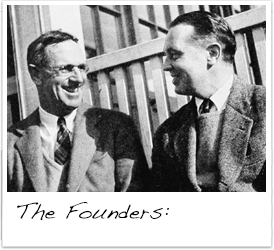 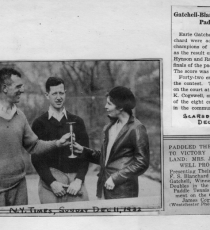 A Scarsdale banker suffering from excessive shyness and protruding ears had become a success in society and business as well as quite the ladies man as a result of playing the game. 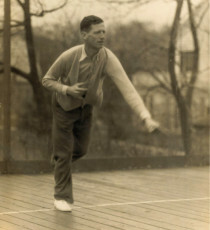 Frederick Allen, editor of Harper's magazine and poet laureate of the OAA, and his wife were the suspects. 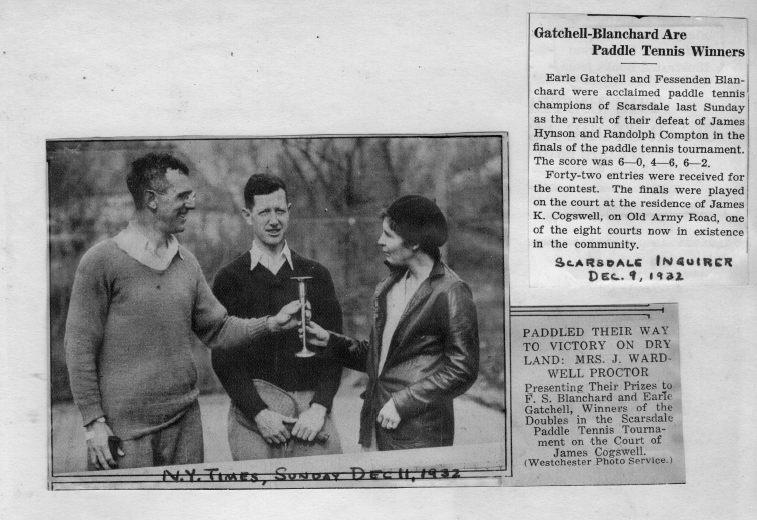 The Scarsdale Inquirer of December 11, 1931 carried the story with the headline: "Paddle Tennis for Grown-Ups Grows More and More Popular With This Community. 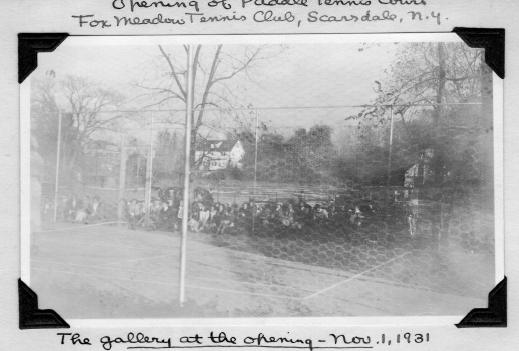 Fame of Game Developed on Wooden Platforms by Two Local Residents Spreads to Other Parts of the Country"
A snowy day didn’t discourage the crowd of spectators at Fox Meadow Tennis Club. 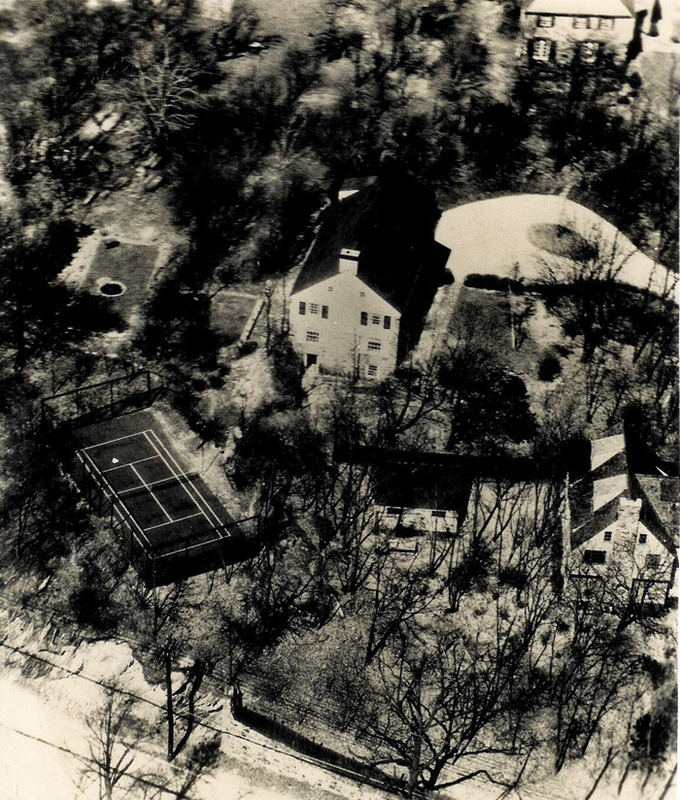 Caption: Aerial view of the second court near Old Army Road in Scarsdale, New York (Oct. 1932). 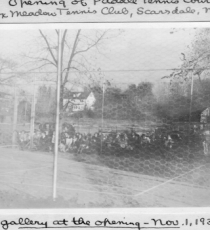 Ardsley Road is shown at bottom. 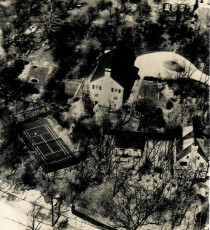 The Cogswell house is at center. 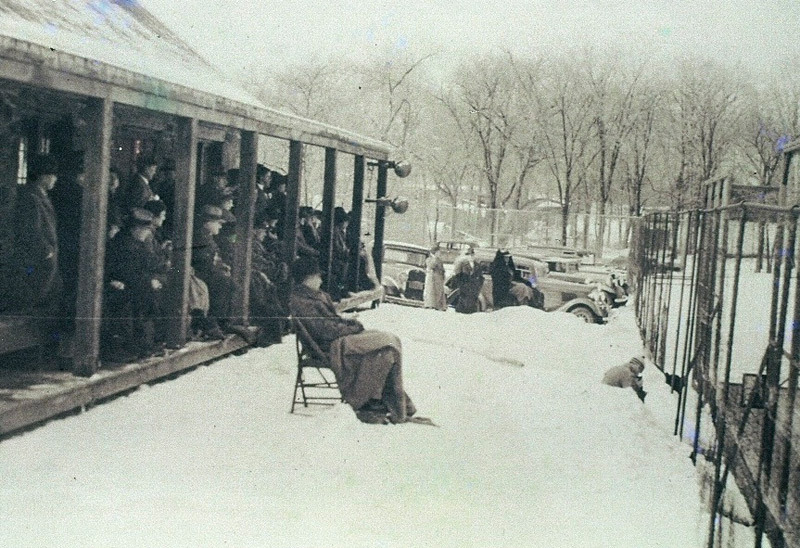 The Blanchard house is out of sight at upper left. 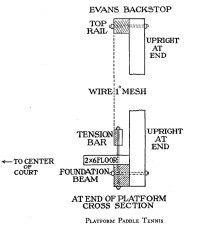 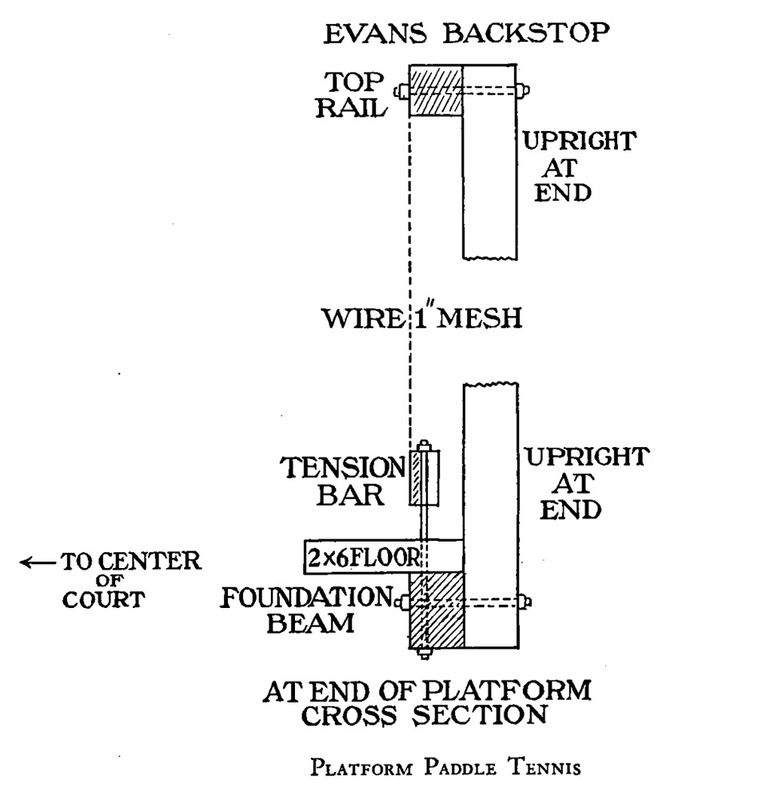 As shown, only three sides of the original court were screened.